Home of Yorkies and Biewer Terriers A' La Pom Pons. We are located in beautiful Long Island, New York. We are a small show and therapy hobby breeder with over fifteen years experience, specializing in quality Biewer, Biro Terriers and Yorkshire Terriers. 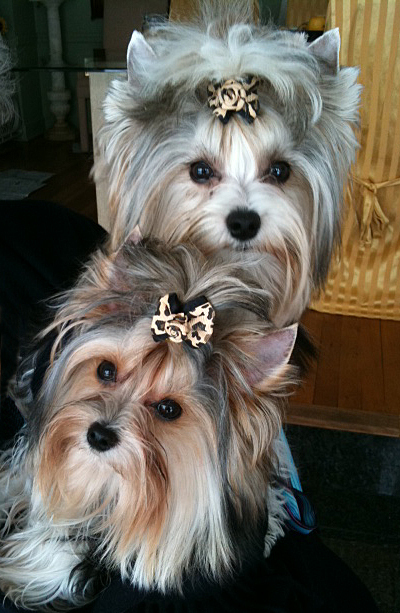 We prefer pet homes for our Biewer Terrier and Yorkshire Terrier puppies, but occasionally we approve breeding homes. 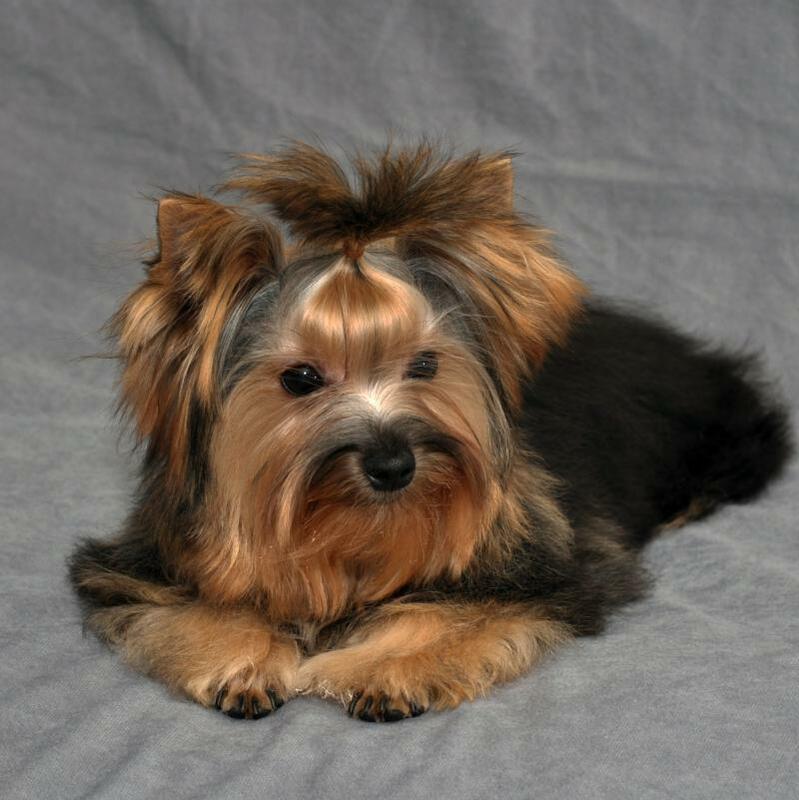 When looking for a Biewer Yorkshire terrier or Yorkie puppy, you should be able to meet the breeder in their home and meet the puppy's parents as well. ﻿Our Biewer Terriers are from reputable European and American Breeders, some directly from Germany, and come with IBC (International Biewer Club) - German or BBIR (Biewer to Biewer) club of US registrations. 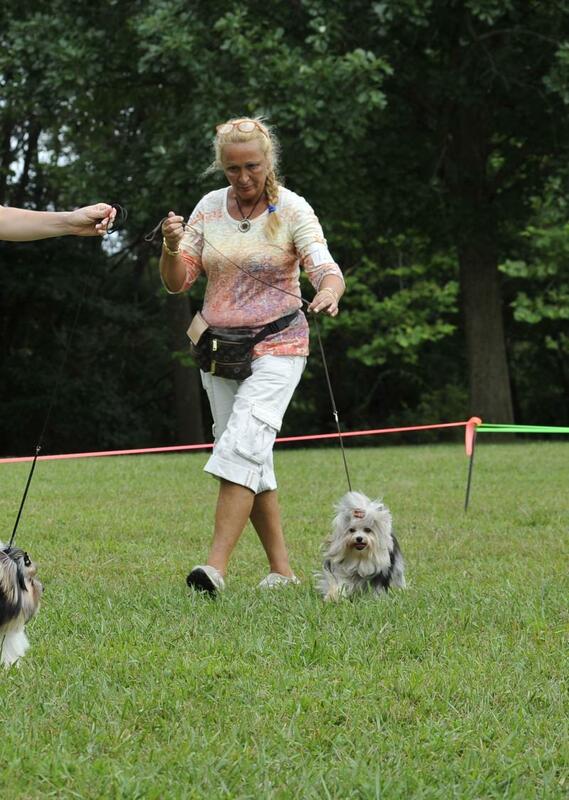 They all are purebred Biewer Terrier parents with Grand Champion or Champion backrounds. 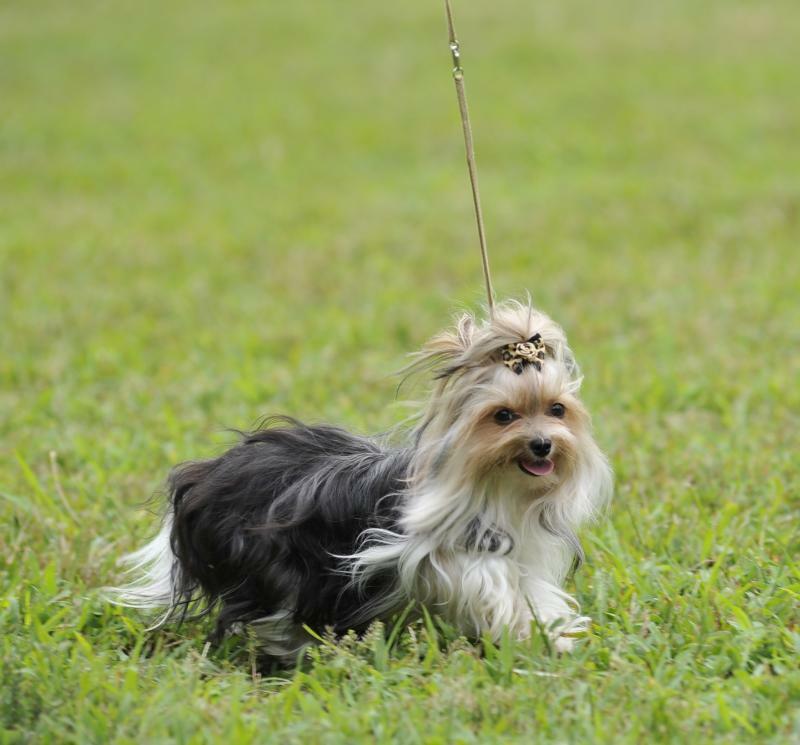 Our Yorkies come from champion bloodlines and they are registered with AKC and ACA dog clubs. All of our dogs are OFA certifed, DNA tested and come with 5-6 generations of pure bred IBC registrations. We have litters throughout the year, please e-mail us for availability. Please do not purchase a Yorkie or Biewer Terrier or any kind of puppy from a puppy mill, ever.